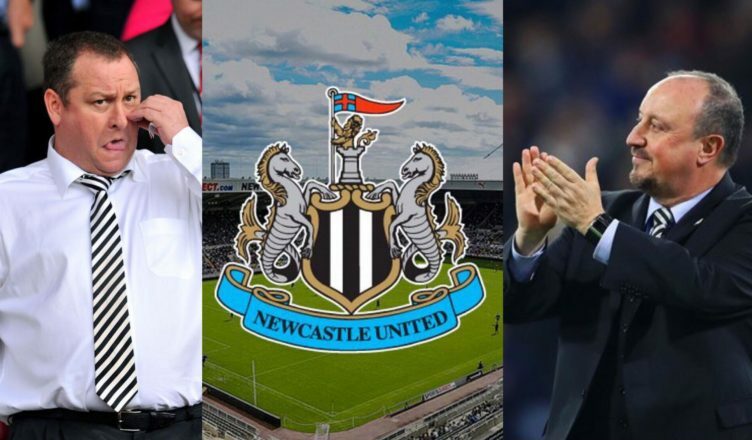 New report reveals Rafa’s ‘vision’ for NUFC – & 5 assurances he now needs from Mike Ashley – NUFC blog – Newcastle United blog – NUFC Fixtures, News and Forum. According to the Chronicle, Rafa Benitez wants Mike Ashley to offer him a deal that includes a vision to get Newcastle United back as a ‘top 8’ club in the Premier League. The report highlights Rafa’s wish for a clearer transfer budget, promises on training ground and Academy investment, but also to improve our decision making process and make more ‘high profile signings’ – with him bound to be fed up of shopping for bargains and missing out on several top targets each year. ‘Rafa Benitez wants Newcastle United to offer him a deal that will help take the club back to being a top eight outfit in the Premier League. ‘That was the type of agreement Benitez was hoping for last summer after leading the team to a top 10 finish but the talks collapsed and some observers feel that the uncertain feeling over the manager’s future have affected the side this term. ‘Benitez is confident of another strong finish but has put contract talks on ice as he looks to move in on Premier League safety. The fact he’s asking for us to become an established top 8 side just proves that he’s not asking for too much. After all, back Benitez with everything the club earns and give him control of signings and I’m quite confident we’d be competing with that cluster of clubs outside the top 6. ‘Benitez will showcase players like Sean Longstaff and Paul Dummett as a way Mike Ashley can save millions if he gets the youth system in a better working order. ‘His last discussion with Ashley involved a brief mention of whether he would sign the five-year contract that is still on offer to him. ‘Benitez is also keen to for the club’s overall decision making process to work more smoothly. ‘He was left frustrated by the Miguel Almiron deal in which the overall transfer took over two months to complete – and the player almost didn’t sign at all as his agent jetted out to Italy to hold talks with Napoli before United negotiated their position. Rafa is giving Ashley every chance of keeping him at the club – something the NUFC owner would be a fool to underestimate given we’d have still been in the Championship if it wasn’t for the Spaniard’s work over the past few seasons. Do you think Rafa will be here this time next season? I’m hoping and praying he is, but I can’t help but feel Ashley will be highly reluctant to agree to the above terms. Well all I can say is he needs all assurances in writing with a clause that states if assurances not kept Rafa can walk with compo paid by the FCB..
Usual fatty behavior will be for Rafa to secure PL survival, get shafted, then some new monkey will be handed a load of money to waste.